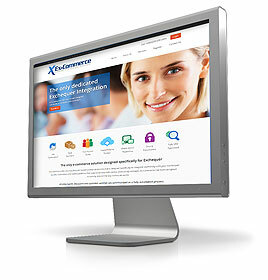 Exchequer E-Commerce Integration Trade & Retail - Ex-Commerce. Exchequer e-commerce enterprise level integration for both trade orders and retail sales direct to the consumer. specifically and completely with Exchequer. and customer details will transfer to Exchequer. are precisely matched on the web site. automatically assigned unique sequential account codes. framework which is both flexible and powerful. Ex-Commerce is the only fully featured, hosted enterprise solution that is designed specifically to integrate seamlessly with your Exchequer accounting system. Ex-Commerce is fully compatible with both the SQL and Pervasive editions of Exchequer. Unlike other e-commerce platforms that exchange limited data with numerous other accounting packages, Ex-Commerce has been designed exclusively around the way Exchequer works. Exchequer customers who use other e-commerce systems live with the pain and frustration of rounding differences and attempts to try and reconcile web orders to the accounts. With Ex-Commerce there are no rounding differences and all discounts precisely match whether it be in single currency or multi currencies. No other system can match this decimal precision. Rapid return on investment is one of the major benefits of Ex-Commerce. Within days of going live you will start to feel the real benefits of streamlined automated order processing. The tangible benefits of this complete Exchequer integration will quickly be evident through time saving, profitability and customer satisfaction. No more re-keying of data and wasting time duplicating tasks. Far fewer errors in data capture and a streamlined process that gives you back one of the most valuable commodities - Time! Exchequer e-commerce integration like you've never seen before. The only e-commerce product that has been designed specifically to work with Exchequer, Ex-Commerce brings you a true and seamless integration with your Exchequer accounting software. The system works with either the original Pervasive PSQL version or the Microsoft SQL emulated version. With multi-currency compatibility and a multi-lingual version available, this system is ideally suited for those companies looking to branch out into e-trading in Europe and the rest of the world. Whether you are looking for B2B or B2C, Ex-Commerce caters for both. The system supports multiple websites or store fronts. Automated synchronisation with Exchequer includes all customer and stock discounts, quantity breaks and all other forms of discount. Stock quantities are synchronised in near real time to minimise overlap selling. 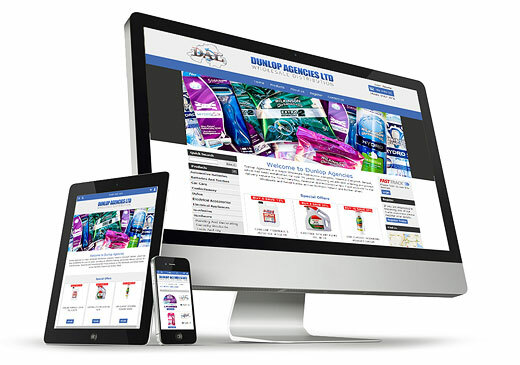 Orders can be placed by trade customers, retail customers or even your own reps. A fully mobile responsive web interface makes it easy to find products and create orders. Orders can be processed as SQUs or SORs globally or individually and will show in Exchequer within moments. Copyright © Ex-Commerce 2019. All rights reserved.